What is the significance of Mantel’s “occult” history of Britain? How might these legendary traditions have influenced Henry in choosing to marry Anne Boleyn? What role does legend play in the perpetuation of a monarchy? Why was Cromwell so attached to Cardinal Wolsey? Was Wolsey more of a mentor or a father-figure for Cromwell? What do love and loyalty mean for Cromwell? Why is it meant as an insult when Norfolk calls Cromwell a “person?” What is it about Cromwell that frustrates members of the nobility so much? Why were Wolsey and Henry able to appreciate Cromwell’s talents when everyone else merely saw him as an impudent schemer? What is it that makes Cromwell resolve to be gentle and mild with his children? What gave him the will and the confidence to become a different man than his father? What kind of a character is Thomas More in this novel? Does he come off as sympathetic in any way? Why does More choose to die rather than accept breaking away from the Catholic Church? Would Cromwell be willing to die for his beliefs? What is the significance to Cromwell of seeing the woman burned at the stake as a child? How could an event such as this have influenced Cromwell in his later attitudes towards Reformation? Does Cromwell have any specific religious convictions? Or is he more driven by convictions of common decency and personal loyalty? What kind of a king is Henry VIII in this novel? What motivates him? Are his preoccupations solely self-interested, or does he have the good of the country in mind as well? What is it that makes him so susceptible to Anne Boleyn’s seductions? In conjuring Cromwell on the page, what does Mantel create, and what does she re-create from this historical record? Along those lines, how does historical fiction influence the way we look at history? What is it that makes Cromwell so driven? Does his ambition stem from a desire to do good, or is it just a survival instinct based on his past? How is Cromwell both personally ambitious and yet generous and unselfish? Is Cromwell attempting to realize any particular political vision for the country, or is he just reacting to the situation at hand? Does he strive to bring about a more egalitarian society, or is it more a matter of being unconsciously influenced by his experiences as a commoner? What is the significance of Guido Camillo’s “memory machine?” Why is Cromwell interested in it? Does he see it as some sort of potential weapon, or is he driven by a desire for knowledge? Is there something tragic about the fate of Elizabeth Barton the prophetess? Was she merely deceived by the monks, or was there something cynical about her? Did it seem that she ever believed in her visions? If she had not been exploited for political gain, might she have made a genuine contribution to spiritual life at the time? Or was she simply a fraud? What is the source of Cromwell’s antipathy for More? What is it about More that outrages him? Is there something personal in it for Cromwell, or does More simply represent a particular type of villainy to him? Later in the novel we see Cromwell come to the realization that his home now is either where there’s business to be done, or with the king. How is this a personal transformation for him, considering what life was like when his wife and daughters were alive? In the lively Austin Friars, full of extended family and wards and guests, Cromwell seemed the consummate family man. Why did he change? Is there something sad about this change in him? Did Cromwell truly want to spare More from being executed? Did he do everything he could to save him? What made More so inflexible? Was it related to his desire to always live life in the public eye? 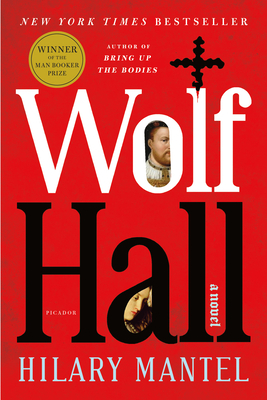 As the novel ends and Cromwell is at the height of his power, is there anything in his actions that foreshadow his later downfall? Has he become too much like Wolsey? Would the mercurial Henry VIII have been likely sooner or later to turn on Cromwell anyway? Is there any indication in the portrayal of Jane Seymour in Wolf Hall of the role she would later play? What might motivate Seymour to foster high ambitions? How might Seymour be similar to Cromwell?